Leander and Polly are two teenage Union soldiers who carry deep, dangerous secrets and survive incredible odds. Leander is underage when he enlists, and Polly follows her father into war disguised as his son. 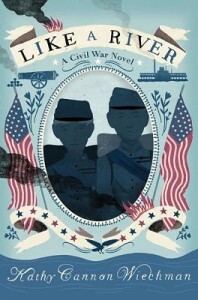 As the lives of these young, brave soldiers intersect, readers will be transported to the homes, waterways, camps, hospitals, and prisons of the Civil–War era.